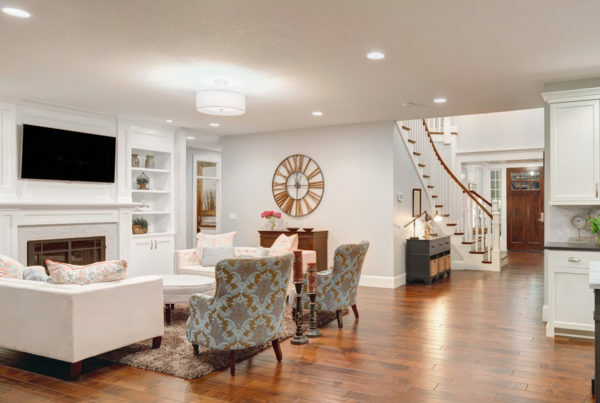 Over the decades that Malkin’s Flooring has been in business, our experienced team members have answered many questions about carpet and area rugs. We love to share our knowledge as informed customers usually become our best customers. 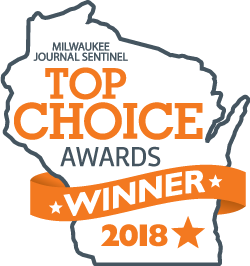 You may not be aware, but our owner, Marty, started on the installation side of the carpeting business as a go-to flooring expert who addressed every question and concern his customers had. He wanted to provide that same level of informative service to homeowners, so he did just that. This willingness to educate our customers and make them informed shoppers is just one way we create raving fans every day. Below are the most common questions our customers ask. I want new carpet, but don’t know where to start. Our first solution is to simply trust the carpet experts at Malkin’s. We can guide you through the many choices, styles, fibers, and colors so we know you will love your new carpet. This is how we earn our raving fans every day. 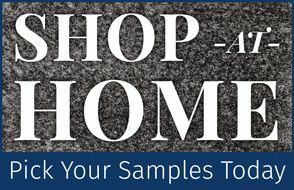 We also offer a unique Shop at Home service, where we bring carpet samples to you. This allows you to see how the carpet will fit with your current furniture, color palette, lighting, and lifestyle. At the same time, if you prefer to shop online, we can help you as well. Please browse the home and lifestyle magazines for ideas or perform an Internet search and bring those clips or photos of your favorites to the store. We can translate those searches into reality. I hear many commercials advertising low carpet and installation prices. Why should I choose Malkin’s? Remember, at Malkin’s you are not just buying carpet or flooring, you are buying our expertise in selection and installation! The most important aspect of purchasing any new carpet is proper installation. Marty, our owner, got started in the business as an installer and understands the many technical details needed to create a perfect installation. He also takes the time to ensure that all our staff is properly trained and that every project is done perfectly every time. 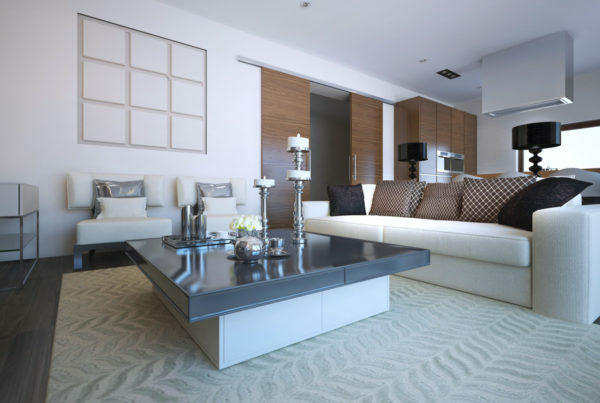 We know that if the carpet is not installed properly, it won’t stand the test of time. In fact, we offer our exclusive lifetime installation warranty, which means we fix your carpet no matter how long it’s been since the initial installation. What’s the most important thing I can do to maintain my new Malkin’s carpet? Frequent vacuuming is the best thing you can do to prolong the life of your carpet. High-traffic areas should ideally be vacuumed daily. Be sure to use a good vacuum cleaner, preferably one certified through the Carpet and Rug Institute (CRI). See our carpet care video. Another tip, make sure family members and guests wipe their feet before entering your home. In addition, should you have a carpet warranty, it needs to be professionally cleaned at least every 12 to 24 months, depending on the warranty conditions. We want to replace our carpets, but have young children. What are some durable options? Textured Saxony—The surface helps conceal footprints, works in any room, has got a great casual appearance, and provides plenty of durability for active families. Cut and Loop—The smaller loops combined with the slightly higher cuts provide a distinctive carved appearance and the multi-color surface helps conceal stains and traffic patterns. There are many quality stain removal products in the market, however, if you purchased the Malkin’s spot and spill one-year warranty, use the stain remover we provided. It should remove the most common stains. If the stain doesn’t come out, our recommended carpet cleaning professional will travel to your home and remove that stain. This warranty applies to most stains. You may vacuum your carpet every day and for high-traffic areas, we recommend it. Dirt is the enemy as it becomes ground into your carpet and may damage the fibers. At a minimum, vacuum at least twice per week to keep your carpet in great shape. All new carpet must be cleaned every 12 to 24 months to keep the manufacturer warranty valid, even if you elected not to get the spot and spill warranty. Make sure you keep those receipts. We refer customers to Blue Green Cleaners. Our service providers will send email reminders so your warranty will stay valid with scheduled regular cleanings. Will professional carpet cleaning cause mold on my carpet? Professional carpet cleaners use powerful suction to withdraw moisture from the carpet. Your carpet should be completely dry within 24 hours, so mold will not have a chance to grow. 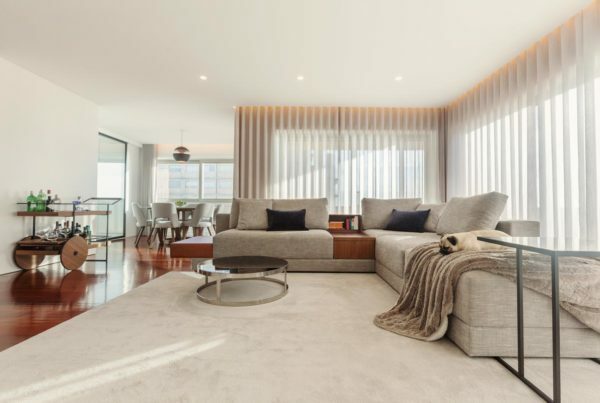 How do I keep my area rugs clean? It depends on the rug. If your rug is small and the label indicates that it is “machine washable,” shake the rug outside first and then put it in the washing machine at the recommended temperature. Use warm water and a mild detergent. Tumble your rug dry at the lowest heat setting. If you have a larger rug that won’t fit in a washing machine but is still easy to pick up, shake it outside first, then put over a clothesline or another object and beat it. Next, take the rug inside and vacuum it. If you have heirloom quality rugs or any type of Oriental rugs, have a professional clean them. Will a new carpet adversely impact my indoor air quality? A new carpet may have a slight odor that will usually dissipate in 24 hours with proper ventilation. It should not impact your indoor air quality. Do you need a cushion under the carpet? Carpet cushion is the life of the carpet. Except for direct glue-down carpet, we recommend you always have a carpet cushion installed. We can show you the perfect cushion match for your carpet as that often helps extend its life and insulate your home. My new carpet is shedding. Is something wrong with it? Shedding is a natural result of fiber left over from the manufacturing process. Removing the fibers or fluff will not affect your carpet. Vacuuming often with a good vacuum cleaner will eventually take care of the problem. You may have to change the vacuum cleaner bag several times as it will fill up quickly. How do I prevent static electricity? Low humidity causes static to build up in your carpet so you may want to consider adding a humidifier to your home. If you also have hardwood floors, running a humidifier in the winter will help keep the wood from shrinking and expanding—an additional advantage. I rearranged my room and have permanent dents where furniture used to be. How do I get rid of them? You can try holding a hot steam iron four to five inches above the dent, being very careful to not touch the carpet. Then use the edge of a kitchen knife to work the pieces back into place. See our removing indentations video for additional tips.